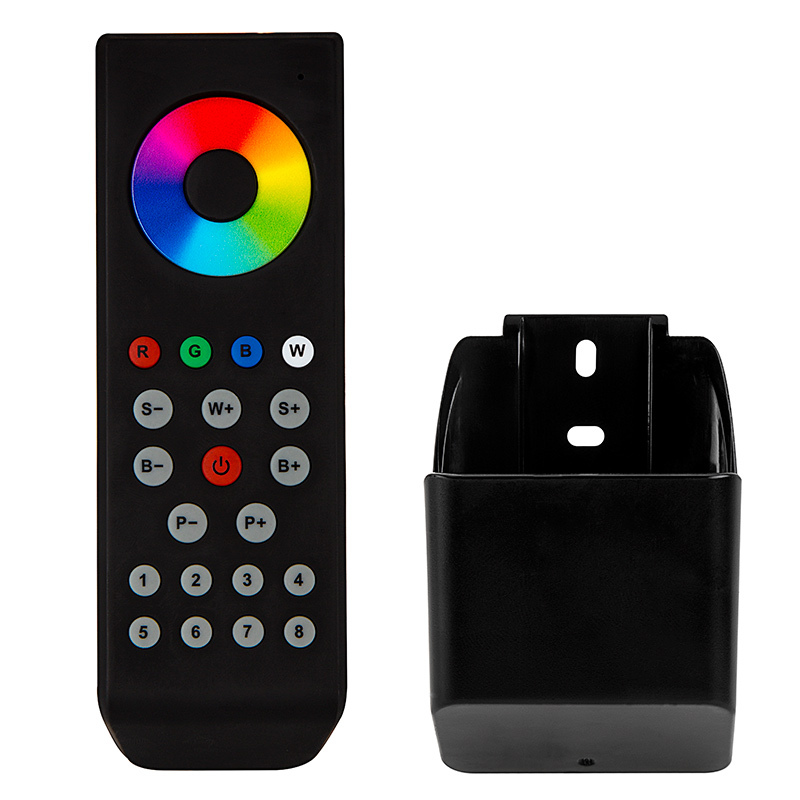 Wireless RGBW 8 Zone LED Remote w/ Cradle for EZ Dimmer Controller: 360° View. 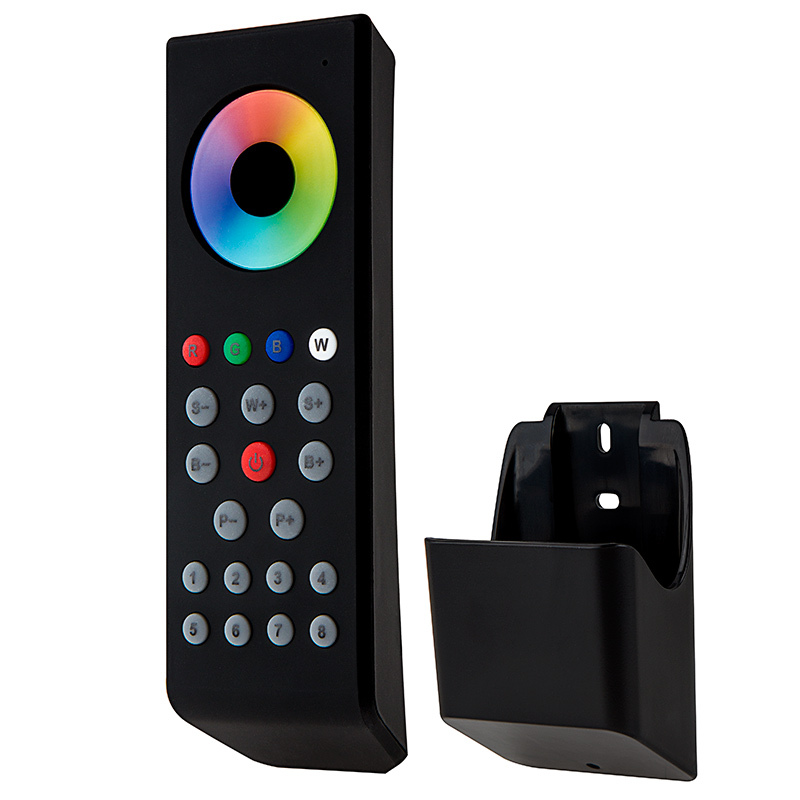 Designed for use within the EZ Dimmer series, this wireless LED dimmer remote includes a mountable cradle and can be programmed up to 8 zones. 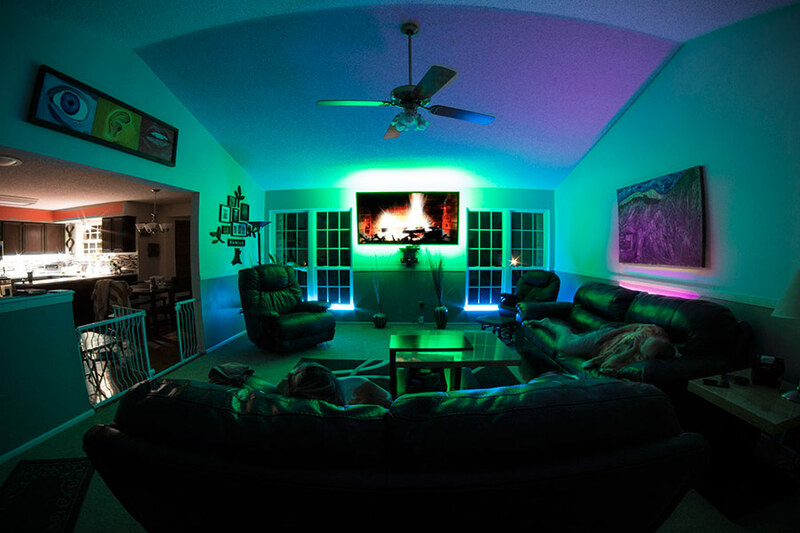 The dimmer remote features a color selection wheel that provides thousands of color along with 10 dynamic color-changing modes with dimming and speed control. The dimmer transmits an RF signal to the wireless receiver from up to 65ft away in open air. Requires 3x AAA batteries, not included. 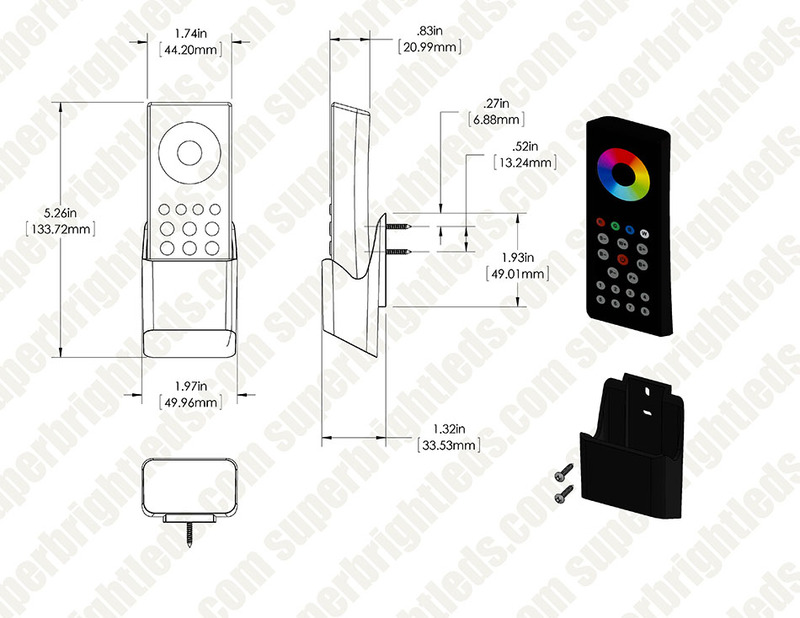 Follow illustrated steps in the instruction sheet to remove the battery cover on the back of remote. 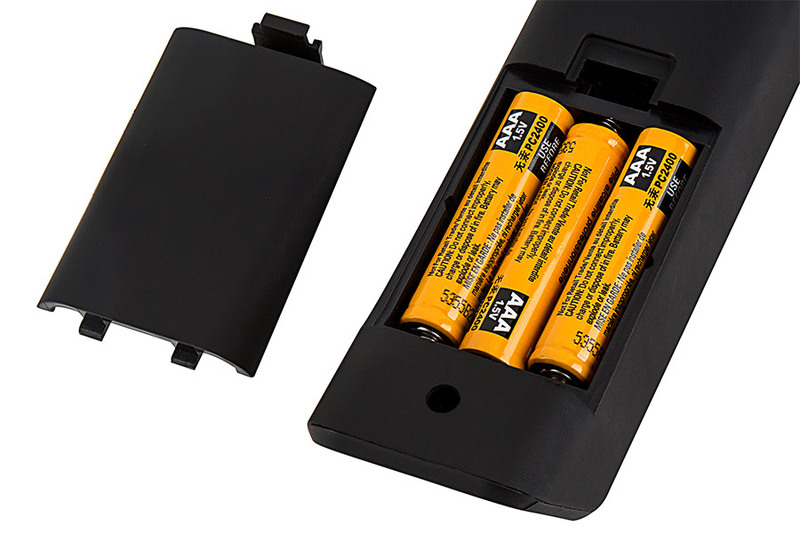 Insert 3 AAA batteries and replace cover.